001: If You Build It, Will They Come? 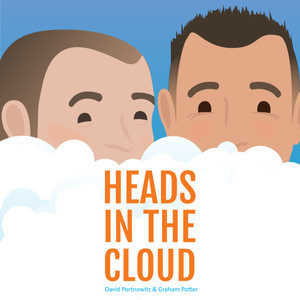 Heads in the Cloud, hosted by Chief Marketing Officer David Portnowitz and Chief Knowledge Officer Graham Potter of Star2Star Communications, discusses business tips and trends in Unified Communications. Our conversations feature guests from the best of the industry. In our inaugural episode, we chat with President and Principal Analyst at COMMfusion LLC, Blair Pleasant. We discuss user adoption in the rapidly expanding UC space. Blair shares her six-step strategy for engaging customers before a new service rolls out, and how to achieve the best ROI.